Make cleaning your cat's litter box as mess-free and easy as possible. Not only can cleaning up your cat’s litter box get extremely messy and unpleasant, but it can also be quite harmful and toxic, with plenty of micro-organisms that can mess with your health. Fortunately, we live in the 21st century, where everyone has thought of everything— to make cleaning your cat’s litter box as painless and easy as possible, they have developed a fully automatic cat litter box that cleans itself. Unfortunately, it’s easy to get fooled into investing in an automatic litter box that doesn't really get the job done. Keep reading and get to know the features and factors to look out for when choosing the perfect automatic kitty litter box for you and your feline friend. 1 Why do you need a litter box that cleans itself? 2.5 Where Should I Put It? Why do you need a litter box that cleans itself? Cats are great pets because they usually require very little work. They are generally very clean pets, and you don't have to take them out for walks in the rain for them to do their business. Having a litter box means that your cat can relieve itself whenever it feels the need, and you only need to clean the cat litter when it is no longer clean. However, we all know that cleaning the cat's litter box is gross: you have to scoop up poo and smelly clumps of cat litter and cat pee while the feces-filled dust is wafted into the air. It's just a chore anyone would like to pass up. And now you can. With the modern-day devices available, like this wonderful gadget called the self-cleaning litter box, the daunting task of cleaning up the litter box after your pet is taken care of automatically. An automatic litter box will save you time and spare you from the unpleasant chore. To get the full concept of what you're investing in, let’s go into a little bit of the mechanics on how it works. First of all, you have two kinds of self-cleaning litter boxes: the fully automated ones and the ones that you need to work yourself but which do the scooping for you. With clumping litter in the litter box, the waste that your precious cat will empty out will clump together, making it much easier to remove with the automatic system. Generally, with the self-automatic systems, there are recommended brands of litter—but when in doubt, go for the unscented clumping litter. 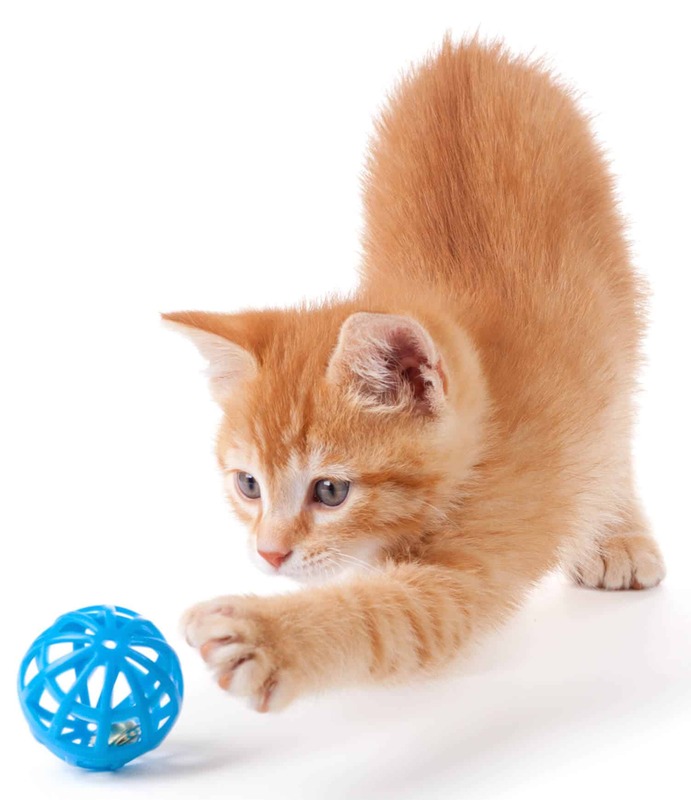 The fully automated system will then work with a sensor and a timer—the machine will sense that your cat has done their business and then start the timer automatically. Normally, in about seven to ten minutes after the deed is done, it will begin the process of cleaning it. This time is crucial for the pet waste to start to develop in a clump, making it much easier for the system to pick up. But don’t worry—if the pet is still in there, the timer won’t start! If you have a fully automatic system, it will then move forward with cleaning, with a rake-like contraption that pulls the waste in the direction of the waste collection compartment. This allows the clean litter to stay in the crate and the not-so-clean ones to get out. The used litter will be collected in a container or separate space, and depending on the model you either empty the bin now and then or just remove the disposable litter tray and throw it away every few weeks. If you have a manually-operated device, you'll have to tilt or rotate the mechanism to sift the clean litter from the contaminated ones. Once this is done, the clumps of used litter will be moved to the disposal compartment. From there, you're on your own kid, and you have to remove the collected waste from its compartment. It's a pretty easy task though - just empty the container into the trash bin, and you're done. Or, if you have flushable cat litter, just flush it down and pop the cup back in. Some features of these self-cleaning litter boxes can easily sway or impact your decision. Here are a few factors that can help you choose the perfect litter box. You can choose the open top clutter crate, the covered litter box, the hidden litter box, or the sifting litter box; whichever is the one that fits your and your cats need the best. Although we all know, that the first thing to consider is your cat's preferences. If he or she doesn't like the litter box, it will be useless. Some cats prefer the open top box, although the owner might prefer a covered one especially if the cat likes to dig around before doing its business. On the other hand, some cats prefer a covered litter box to give them some privacy. If you're not sure what type of box your cat would prefer, you can always get an open box with a top that can be purchased separately. PetSafe ScoopFree Ultra Self-Cleaning Cat Litter Box is a top-class cat litter box that cleans itself and leaves you with minimal work when it comes to cleaning the litter box. You can purchase the top separately, and they even have a top-entry model available. This is definitely the best of the best and will certainly keep you and your pet happy. Depending on the size of your feline friend, you should get a litter box that fits them and their needs—not you and the room you have in your house. Let this be one of the times that the cat goes first. Take into account the height of its sides and the width of the litter box as well. The width should be as long as the length of your cat, and the length of the box shouldn't be less than one and half of the size of him or her. Oscar is 12 inches long. The width of his litter box should be at least 12 inches wide. The length of his litter box should be at least 18 inches long. If this is a gadget that is more complicated than a car motor, you might have a lot of upkeep with the machine—and a lot more of a chance of it breaking down and needing replacements. 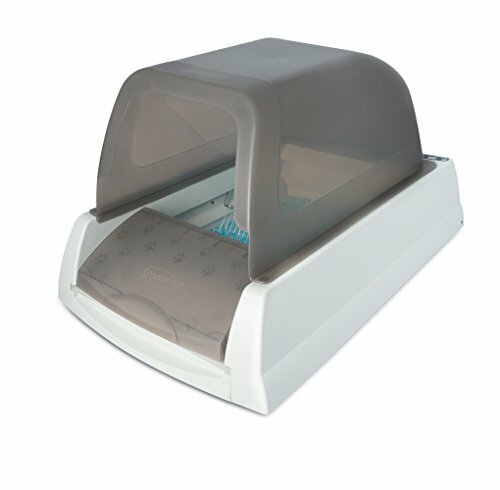 Some automated self-cleaning litter boxes can have many technical features which make them expensive and prone to breakage. We don't recommend those types of litter boxes, because although they can sound tempting, they might be a waste of money if they break all too soon. You can easily search for an automatic cat litter box system that requires little to no maintenance and built-in features that can leave you doing the least amount of work as possible. If you're investing in an automatic cat litter box system, you might as well choose an efficient one! PetSafe ScoopFree Ultra Self-Cleaning Cat Litter Box is fully automated and yet very easy to use. You just pop the fresh litter tray in and take the used one out every few weeks. It's hygienic, clean and completely automated. the Purina Tidy Cats BREEZE Cat Litter Box is not quite as automated, but it still makes cleaning the litter box very easy. The absorbent pads capture moisture and control foul smells; you just need to replace the pad weekly and change the pellets once a month. It's affordable, and with no mechanics involved, you can be sure it won't break down. the Omega Paw Self-Cleaning Litter Box is another step away from the fully automated version, but it will do the scooping for you making the cleaning of the litter box much more pleasant. Just roll the box on its side, and the cat litter inside will be sifted. The waste is collected in the pullout scoop, which you can then empty in the trash or flush down the toilet if you use flushable cat litter. If you are just looking for a cat litter box that can easily be cleaned, you could opt for the Omega Paw Litter Box. It is simple to operate, and you still don't actually have to touch the feces. However, as the price is pretty much the same, you could just go ahead and get the Purina Tidy Cats BREEZE Litter Box. It cuts down the times you have to attend to cleaning the box to only once a week. The weekly change of the absorbent pad is quick and clean, and it's only once a month you have to change the pellets. That's pretty easy, right? But, if you really don't want to even deal with the litter box and you have seventeen cats, and your house is up to here in—well, you get the idea—get the fully automatic choice! It might be a bit pricier, but in the long run, it will leave you with time and clean hands to do more fun and meaningful things with your life. The location of your litter box is just as important as the box itself. You should aim for a place in your house that can be easily reached (the corner of the bathroom or a closet that’s always open, for example) and is free of distracting noises where your little buddy can do his business in peace. Another critical note here is that you shouldn't place that litter box anywhere near their food or water. Not only is that unsanitary, they just don't like it—the meticulously neat creatures that they are. This PetSafe ScoopFree Ultra Self-Cleaning Cat Litter Box in truly a fully automated litter box that cleans itself. It comes with a disposable litter tray pre-filled with crystal litter. You just pop in the tray and take it out a few weeks later to throw it away. In between, the automated system takes care of the scooping for you. The system has sensors to detect when your cat uses the litter box, and it will start the rake timer once your cat is finished with its business. For 20 minutes the crystals absorb moisture and smell and dehydrate solid waste. Then it is time for the rake to sweep through the crystal litter pushing the clumped up waste into the waste trap. The odor control is amazing, and with this system, you don't have to touch, see or smell any waste. The crystals are non-tracking and 99% dust-free, and the litter tray has a plastic lining to prevent leakage - which is always good news for a tidy cat owner. It comes with a pretty hefty price tag compared to traditional litter boxes, but it really is entirely automated, and all you have to do is to change the litter tray every few weeks. It's as easy, convenient and effortless as it gets. Also, when you divide the cost over several years of scoop-free co-existence with your cat, the price isn't that bad. One of the top brands for pet-friendly cat products since 1991, PetSafe puts safety first in developing their treats, harnesses, training tools, and litter systems. They produce reliable pet products for you and your pet to enjoy your time together. If you want to go days and weeks without having to give the litter box a single thought, the PetSafe Self-Cleaning Litter Box is a perfect choice for you. Designed with a hands-free goal in mind, this system lets you easily dump the convenient disposable tray system and replace it with a new one. + Fully automated and cuts down the maintenance of the litter box to about once a month - it doesn't get any easier! The PetSafe Litter Box can go weeks without scooping, cleaning or refilling, depending on your cat. Although you may think it’s impossible, it has complete and unbeatable odor control because of the crystal litter that absorbs and dehydrates waste. The crystal litter also sticks much less to your cat’s feet, so the mess around the box is kept to a minimum. This is the perfect cat litter box that cleans itself. Fully automated, mess-free, odor-free, convenient and praised by thousands of cat owners. If it fits your budget, this is the one to buy! The Purina Tidy Cats BREEZE Cat Litter Box System is the perfect addition to a household with one sole feline friend or multiple furry pals. Since the system features long-lasting pellets that dehydrate solids and highly absorbent cat pads that control moisture and unwanted odors, you can rest assured that it will get the job done, no matter how many cats call your place a home. Purina Tidy Cats have been a leader-brand in cats needs for over fifty years. Making products that fight odor, minimize dust and simplify the litter box, the company has four types of litter to choose from, litter systems like the BREEZE Cat Litter Box and additional products like deodorizers and liners to keep it as clean as possible—from box to scoop. If you want to spend less and less time on litter box maintenance—especially if you have multiple cats in your home—you’re not alone. Having some R&R to yourself and spending less time cleaning after your cat(s) is what Purina Tidy Cats had in mind, freeing your hands to spend more time petting and scratching than scooping and cleaning. The box is designed so that you and your cat are working with 99.9% dust-free pellets, so you don't have to worry about allergic reactions in and around your home. The throwaway pads are also a huge plus—absorbing the excessive moisture in your cats’ box, just to make cleaning that much easier for you (dare we say a Breeze?). What sets this product apart is that it doesn't need refills as often as some other brands out there—the litter pellets designed by Breeze keep things as fresh as possible. 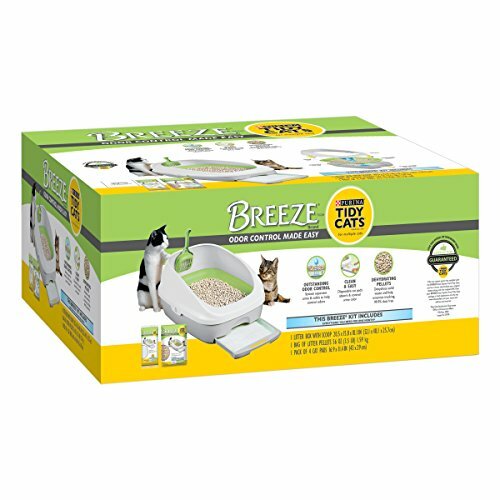 When you invest in the litter box that cleans itself, you also receive the Purina Tidy Cats BREEZE Cat Litter System Starter Kit, which is a perfect combination of everything you need to get started. The system also comes with highly-absorbent litter pads, and filtered, anti-tracking litter pellets so that you don't have to worry about your cat taking the litter with him wherever it may go. This system is low-maintenance and easy to use. It keeps the smells and the work you have to do to a minimum. Perfect for an allergy-prone home, the innovative pellets make clean-up easy and dust nearly non-existent. If you can't quite stretch your budget to buy the PetSafe ScoopFree Ultra Self-Cleaning Cat Litter Box, this a second best option. It's not fully automated, but it will make the maintenance of the litter box easier, quicker and more effortless. Looking for an affordable, simple and quick escape from scooping out the cat litter box every day? 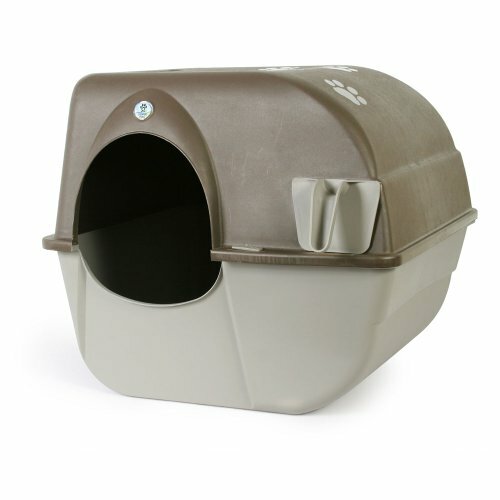 This system is one of the best self-cleaning litter boxes within the lower budget range. It’s a perfect choice if your cat normally strays away from electronic boxes. It fits right at home—especially if you have a bigger room to store the box and leaves virtually no mess around the area. Moreover, since it has such a large litter box size, this product is purr-fect for those bigger cats or homes with multiple cats. Omega Paw brings out new, unique, and innovative products specifically designed for your furry-loved one every year. This product is a bestseller in the litter box category, and it has received excellent reviews from cat owners using it. This self-cleaning system is easy-to-use with minimal upkeep—no electricity, no liners, and no filters needed. The featured grill does the work for you, separating clean litter from used. It doesn't take blueprints to assemble either, with the straightforward and intuitive set-up. This self-cleaning litter box makes scooping easy for you. You just roll the box on its side and back. The patented grill inside separates the dehydrated feces and clumps of used cat litter from the clean litter, and collects the waste in a pullout tray. You just take the tray out, dump it in the trash and place it back in. Quick, easy and no mess. For owners who don't have much time on their hands and have a limited budget, this automatic litter box is a great choice. It is pretty simple, and it requires no electricity. It won't break easily, and you can use any brand of cat litter your pet prefers. It's not fully automated, but it will save you time when it comes to litter box maintenance and spare you from the gross task of scooping. Especially if you are new to the litter box world, it might seem like you have a million questions. Why should I buy a self-cleaning litter box? If you are reading this, you probably already know why. With a traditional litter box, you need to scoop out dehydrated feces and clumped up cat pee daily - sometimes even twice a day. If you don't scoop, the nasty smell will soon become unbearable and cling on to all the furniture, carpets and rugs in your home. Even your clothes, making you the person that can be identified as a cat owner just by having a sniff. Scooping up the waste and adding more litter is a nasty chore most cat owners would love to pass up. And that's probably why you are reading this. By getting a litter box that cleans itself, you can make things a bit easier for yourself. You can opt for a simple litter box, that does the scooping for you and all you have to do is to throw the waste away daily, or you can by the fully automated system which requires attending only every few weeks when you change the litter tray. Scroll up to read more about the best self-cleaning litter boxes and find out which one fits your needs the best. How big should the litter box and how many should I have? For the litter box, the rule of thumb is that the width of the box should be the same as the length of your cat, and the length of the box should be 1.5 times that of your cat. Generally, an average cat is about 18 inches (1 foot and a half). Doing the math, the litter box should be 27 inches long and 18 inches wide. The number of litter boxes you have is usually a minimum of one per cat—just imagine they both have to use them at once! It’s better to be one the safe side, if you have a big house, to have at least one per kitty (it’s better to have two) and in separate locations. The goal is to have two boxes for one cat and three for two..You get the idea. Although you’re not a bad kitty-dad if you just have the one for Sniper, having two will lighten the load for you and be considerate for him. Normally, a cat likes to urinate in one of the boxes only and defecate in the other—hence why two would help. If your home has many floors, you should have at least one per floor, to avoid accidents if the cat’s on the second floor and really just has to go. Does it have a backup system to prevent leakage? To choose the perfect litter system, you should look into how it handles urine. When you have many cats in a home, or there isn't much litter in the bin, it’s possible that the urine may leak. If so, most of these systems have a backup plan, like an extra pad, a seal, etc., that can catch the extra urine. Do you have to make contact with the waste? No, if you don't want to. The whole idea of a cat litter box that cleans itself is that you don't have to go through the effort of scooping and changing litter daily. If you don't want to touch the waste and you want to spend minimal time cleaning the litter box, you should go for a fully automated system like the PetSafe ScoopFree litter box. With this system, you just place the litter tray in the box and take it out a few weeks later. There is no need to touch the litter crystals, nasty feces or scoop out anything. This is as simple as it gets. On the other hand, if you're ok with using a scoop, but you want the litter box to be low maintenance, you could choose the Purina Tidy Cats BREEZE or the Omega Paw Self-Cleaning Litter Box. If you already have trouble with the latest iPhone, a very high-tech litter box might not be in your best interest. 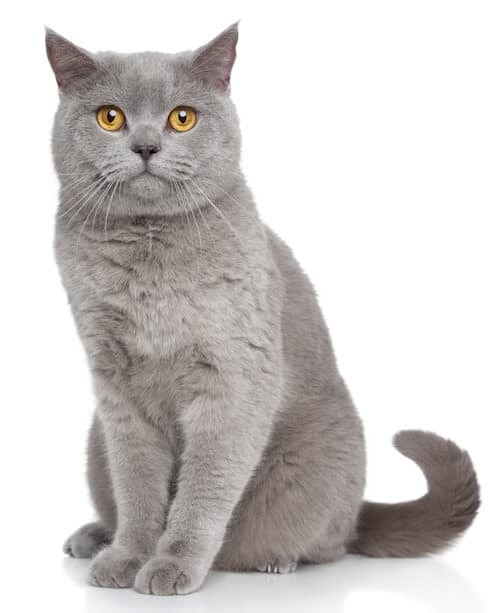 With the more advanced automatic litter boxes, you might come to find that the system needs specific supplies for replacement and maintenance, the level of noise the motor produces can be disturbing, or you might find disassembly difficult and a burden for washing. Also, many cats shy away from these types of high-tech litter boxes and refuse to use them all together. The best choice for a fully automated yet cat-friendly and moderately technical self-cleaning litter box system is again the PetSafe ScoopFree litter box. It is loved by numerous cat owners and their cats alike. It won't break easily, and it's not too high-tech, but it spares you from all that scooping and adding of litter business. Which litter does the machine use? PetSafe ScoopFree litter box and the Purina Tidy Cats BREEZE both use special litter in their system. If your cat is used to a different type of litter, it may need some time to come to terms with the new concept. Both brands have specific instructions on how to ease your cat into using the new type of box, and the litter they use is not scented to help cats accept it. You will need to buy the specific litter that is used in these systems, but both are widely available due to the fact that these self-cleaning systems are becoming increasingly popular. Also, if you want to make thing simple, you can always just order online. We hope that this guide has helped you choose which automatic litter box system is perfect for you and your household. Compatibility is ultimately the number one priority when it comes to deciding which one fits you, your home, and your cat. 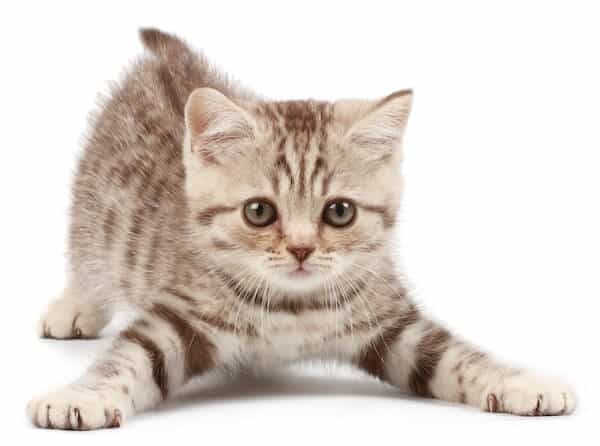 Lastly, as a cat owner, you may also want to check out this article on non-tracking cat litter, as well as this page including our favorite cleaning tips after pets.